Have a day where sightseeing and relaxing forms a truly fulfilling mixture of adventurous recreation at the city of waters! A visit to Budapest can not be complete without a soak in Europe’s largest thermal spring bath, the Széchenyi. Combine a pampering experience with a thrilling adventure in the city centre as you roll along its most iconic sights with an efficient two wheeler. 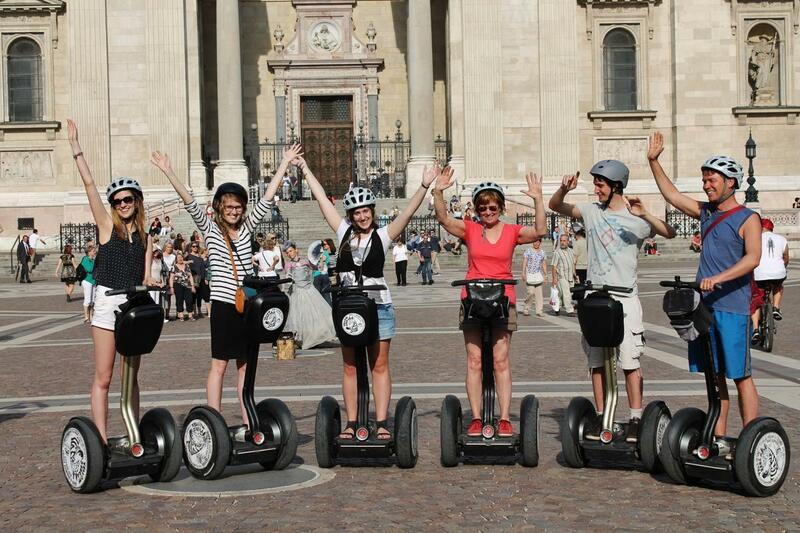 The segway may just be the perfect way of sightseeing in the busy and long streets of Budapest. It’s swift, it’s comfortable and easy to operate. Just hop on and let your guide teach you all the basics at the meeting point in front of the Hungarian Opera House until you are comfortable to head out on the road! As soon as you have a firm grip you will head out to exploring the stunning realms of Budapest lead by your attentive guide with all the answers to your curious questions. The tour will take you on a route that includes the lively Vörösmarty Square a perfect view of the Chain Bridge and the Buda Castle with the Fisherman’s Bastion from the Danube Promenade, the Hungarian Parliament Building and the outstanding St. Stephen’s Basilica. Following your adventures in the city, it’s time to sit back and relax in the old fashioned way: having a healing bath in a world famous spa with a setting to make you feel like royalty. The Széchenyi is feeding from the city’s extended thermal spring network running below our feet. This hidden treasure have been attracting various settlers and cultures throughout history starting with the Ancient Roman Empire who developed their own bathing culture in the location of today’s Budapest during the 1st to the 5th century. The spa scene in Hungary is a truly diverse system that builds from elements of various different styles and cultures creating an experience that’s just as indulging for the body as it is for the eyes. Combine sightseeing with a pampering spa-time and have a day of fun and pleasure in the capital of Hungary!